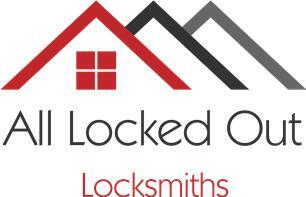 All Locked Out - Locksmith based in St. Michaels, Kent. I'm Alan Hocknell, trading as All Locked Out. I am a skilled 24 hour locksmith with over 15 years experience and I live in Tenterden, Kent, with my wife, daughter and our Jack Russell, Baxter. Unlike many other locksmiths, I don’t charge a call out fee; instead I provide a clear price for the job to be done, with no surprises later. I work for private individuals, commercial clients, housing associations and letting agencies. 90% of jobs are completed in one visit as my van is always well stocked with a variety of insurance compliant BS3621 locks. I work as non-destructively as possible (ie: picking locks rather than drilling) and I reach most customers within 30 minutes of their call, and often much quicker! Please call me for a no obligation quotation. I am not a call centre or agency, so when you call you will reach me directly. Ashford / Maidstone / Cranbrook / Rye / Tunbridge Wells / Hastings / Sevenoaks / Tenterden and more!